A winery that turns 50 years old is not impressive. After all, many French châteaux have been around for hundreds of years, some longer. 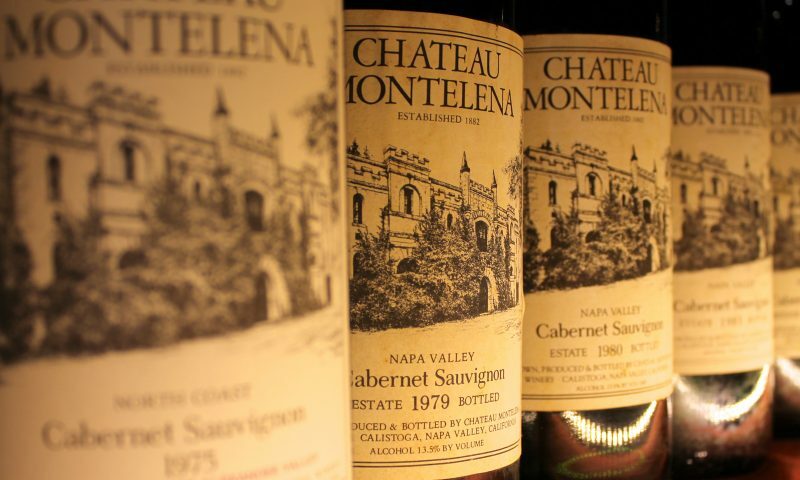 But if you are Chateau Montelena in the Napa Valley, besting French wines in the famed “Judgment of Paris” tasting in 1976, you already have a storied provenance that has elevated you in the pantheon of American wines. Not to mention Hollywood has also made a movie about you. 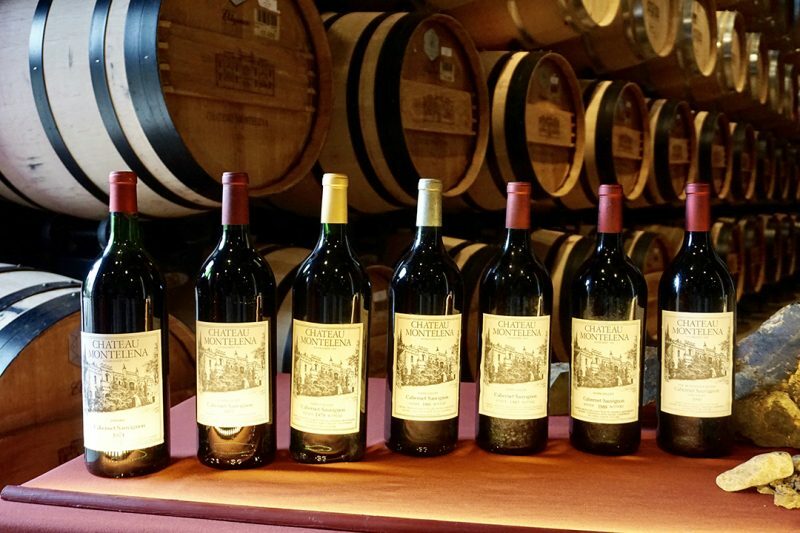 Old Liquors Magazine was invited to participate in a 50-year retrospective tasting of Chateau Montelena’s estate Cabernet Sauvignon at their historic winery, built in 1888. 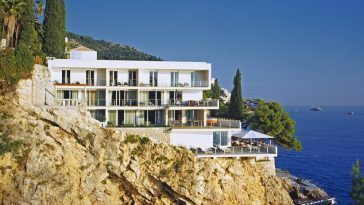 Originally the Gothic castle-like building was called the A.L. Tubbs Winery named for Alfred Tubbs who commissioned it. 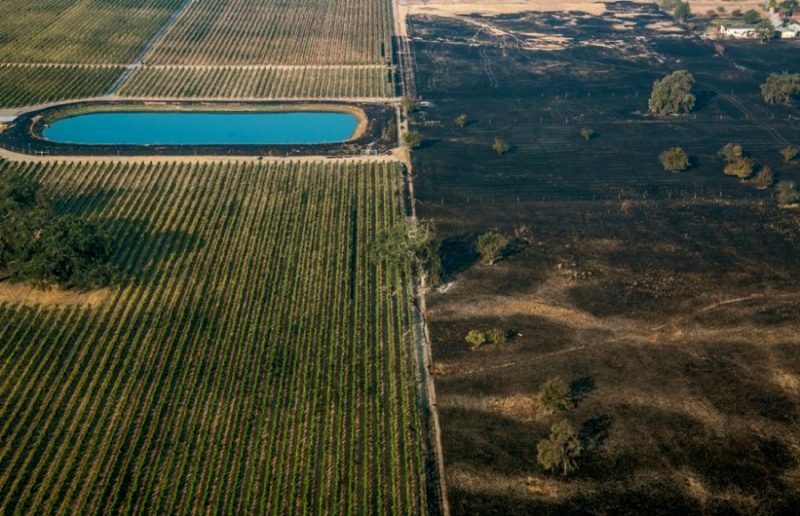 One hundred and twenty-nine years later the name Tubbs would take on a new meaning as the Tubbs Fire swept through parts of the Napa and Sonoma valleys in October 2017, destroying nearly 38,000 acres and over 5,000 buildings, including a number of wineries. Grapevines are notoriously resilient plants. They can withstand drought, erratic weather, and can grow nearly everywhere. 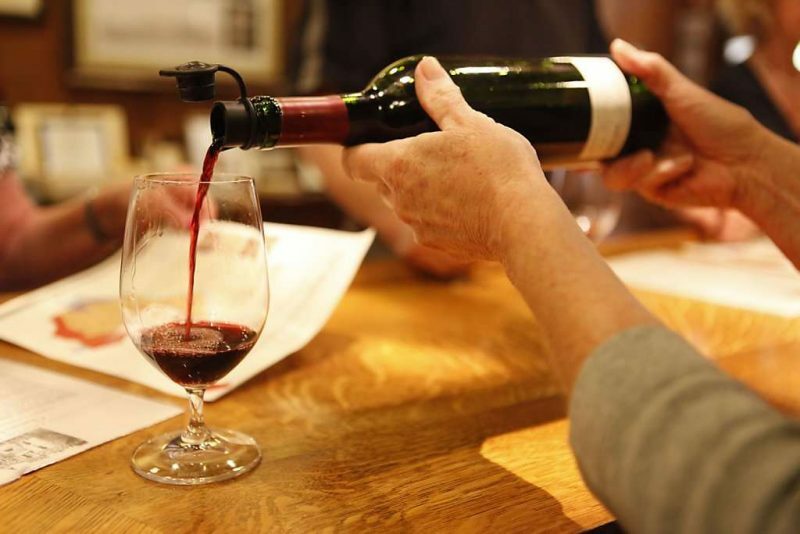 Yet questions arose immediately about smoke taint and how the fires would affect Napa wines. “You cannot make the smoke go away, you can’t just wash it off,” Barrett admits. 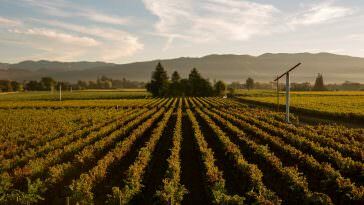 However all the “big money fields” had already been harvested he says, roughly 80% of the Napa Valley. But misinformation persists about the 2017 vintage. “People need to know their producers—the wineries with integrity that don’t make compromises will only sell you the good stuff,” Barrett says. Proud might be an understatement as Bo Barrett presented five decades of his wines. “It’s amazing to participate in and work with the Barrett family who, since day one, were committed to not only creating these breathtaking wines but to have the foresight to hold them for the future,” says current winemaker Matt Crafton. 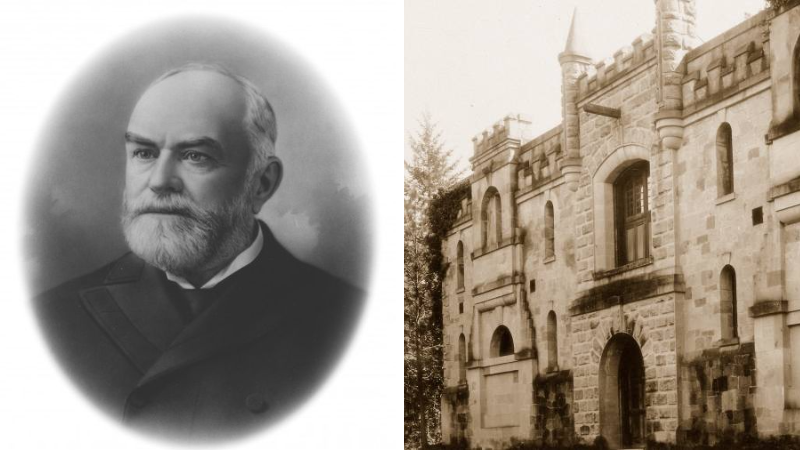 The plan for Chateau Montelena was always to hold back 10 percent of their production for at least 10 years, then sell 5 percent of that. 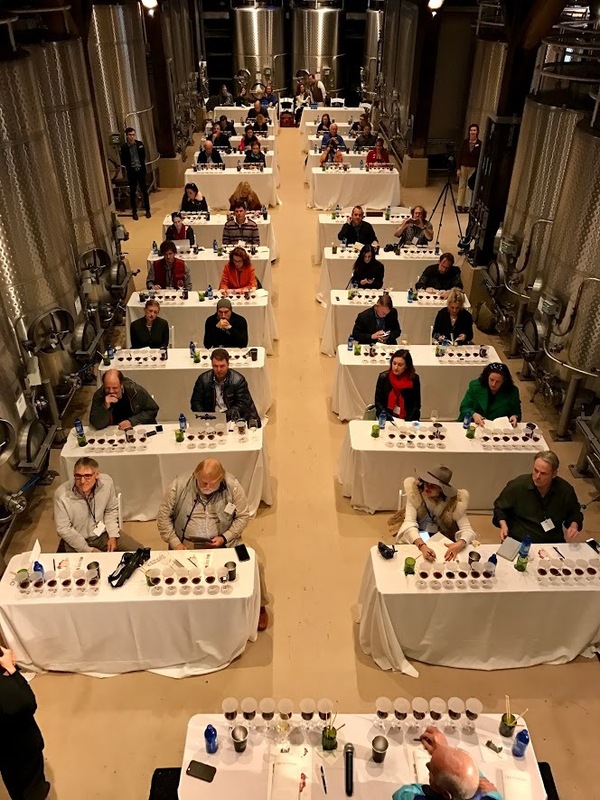 Which is why on an overcast Thursday afternoon I met with a handful of other wine writers to taste 15 wines, three per decade, representative of the last half century, something the Montelena people dubbed the Dream Tasting. “We didn’t pull out the greatest hits, we were showing how this place does well under adversity,” Barrett told me. 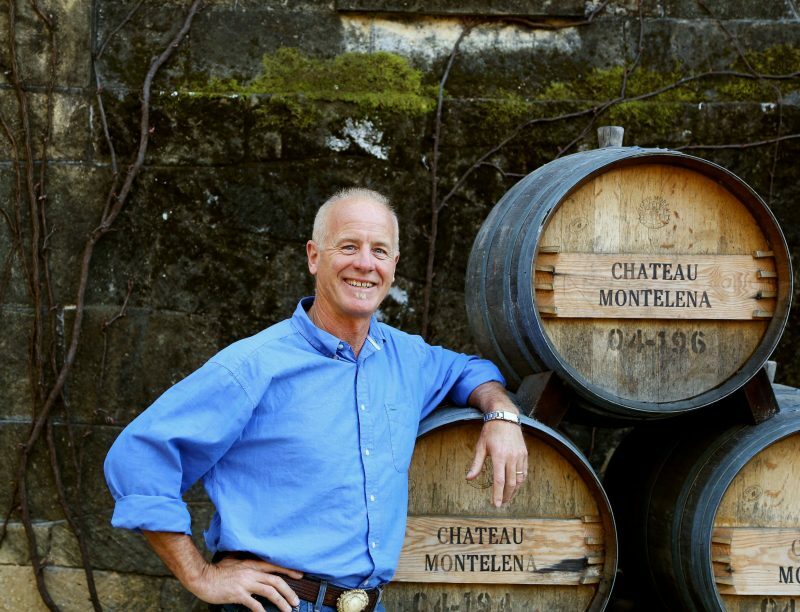 Though Bo Barrett is inexorably linked to Montelena, a familiar face, and name (his wife Heidi Peterson Barrett is best known for making Screaming Eagle), it was Bo’s father, Jim Barrett, who founded the winery and established strict priorities for the wines that are now in front of me. One of those priorities was that the measure of great wine is that it must improve with age. “We built our wines that way,” he says. What’s most impressive about this tasting is that these wines are from the same vineyard, using the same type of yeast, same barrel program (typically 20 percent new French oak), and aging 18–24 months, with little variability over the decades. 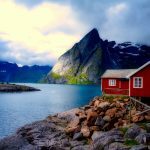 Does the Dream Tasting reflect that vision, or is it mere reverie without reward? 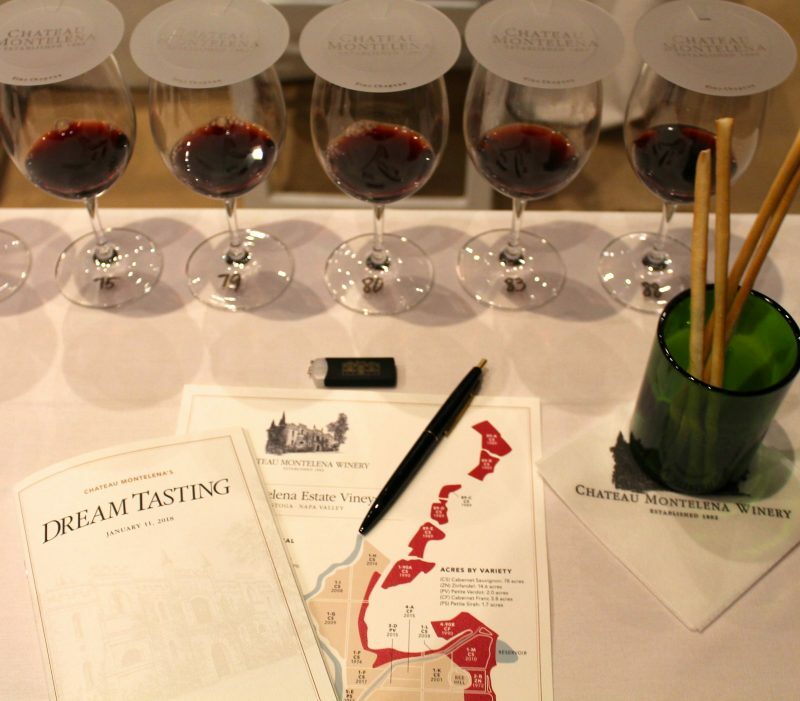 Early on Montelena decided on a specific formula, mimicking Bordeaux. Founder Jim Barrett wanted consistency, therefore all of the wines fell under a tight perimeter of 14% alcohol, a pH range of 3.55 to 3.75, and 6.2 grams per liter acidity. 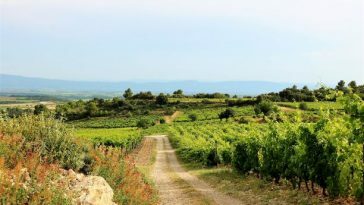 Planted to Saint George rootstock and Clone 6 (typical of the was Swiss-Italians who dominated the area at the time), the soils are mainly rocky and lomey, a mix of alluvial, volcanic, and sedimentary. Currently, there are 78 acres of Cabernet Sauvignon. Here then are selected tasting notes. 1974–Blended fruit from Alexander Valley in Sonoma and Napa retaining an excellent acidity, you find ripe red raspberry resin, cranberry, mild prune, and raisin. The age of this is obvious yet still the wine is drinkable and quite enjoyable. 1979–This was the second-estate bottling and though there was excessive heat for this vintage resulting in a 40 percent crop loss, this is where you see the identity of Montelena Cabernet beginning to come together. As evidenced from the earlier 1974 and 1975 there is a more comprehensive feel, more seamless integration of the fruit, oak, and acidity, finding its stride with better balance. Framed by a brisk acidity and bright, crisp blueberry, blackberry, and red fruits, this represents the hallmark they will become known for. The 1980s saw more weather fluctuations and erratic weather patterns. 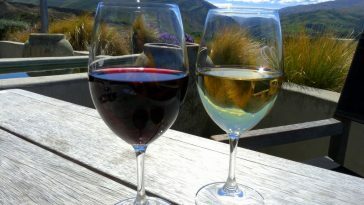 Overall there were higher temperatures and the wines became more ripe. 1983–From an El Niño year, heavy rainfall hit all of Napa but the vineyard, a rocky well-drained hillside, was not affected. Though a cooler vintage this retains classic Cabernet character with noticeable blackberry, raspberry, and blueberry flavors. The tannins are less obvious and there is a slightly shorter finish, but this still is a commanding wine. The proverbial “perfect storm” occurred in the 1990s. Ideal weather befell Napa from 1990 through 1997. Some of the best and most consistent winemakers like Dave Ramey and Doug Schaffer all had 20 years experience under their belt. 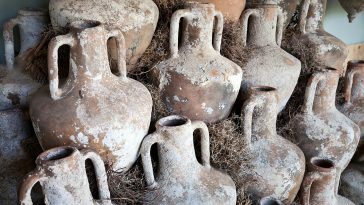 Vineyards planted in the early 1970s had now come to maturation, and the dominant British press, who long championed a dryer more austere style, lost ground to the likes of Robert Parker and his palette of bolder, bigger wine styles where you begin to see higher alcohol in American wines. “All these things combined gave winemakers incredible confidence,” Barrett says. “The ’90s wine tasted like we made them last month,” he believes. acidity and gripping tannins. This is a wine that coalesces beautifully, balanced with fruit, wood, acidity, and pH, presenting mature blackberry, boysenberry, and blueberry flavors, nonetheless elegant in spite of its vibrant character. “We work in the fresh fruit medium,” Barrett says. “Pick when it’s ripe, not based on seed tannins or sugars.” By this time they had started to phase out longer macerations so you still get the bright fruit character but with more maturity and a richness of fruit. In this decade the addition of Cabernet Franc, though in small portions, helps to round out the wine. 2005–Balancing red raspberry, boysenberry, blackberry, blueberry, and black cherry, there is a uniformity of good acids and firmer tannins. It’s less bright fruit and more darker and concentrated with a noticeable polish to it, making it velvety and smooth. 2010–A new winemaking team was responsible for this direction. Interestingly this wine feels less structured and refined however it is more typical of what we now taste as Napa Cabernet. There’s less overt ripe fruit and more a sense of maturity. More dominant with darker fruits and hints of spice.